Can you believe it's been nearly two decades since Samuel L. Jackson donned the iconic role of 1970s Blaxploitation hero, Shaft? That reboot established Jackson's character as the nephew of the original John Shaft, Richard Roundtree, and now twenty years later the legacy continues on with yet another Shaft movie, which introduces Jessie T. Usher (Independence Day: Resurgence) as the baby of the family. 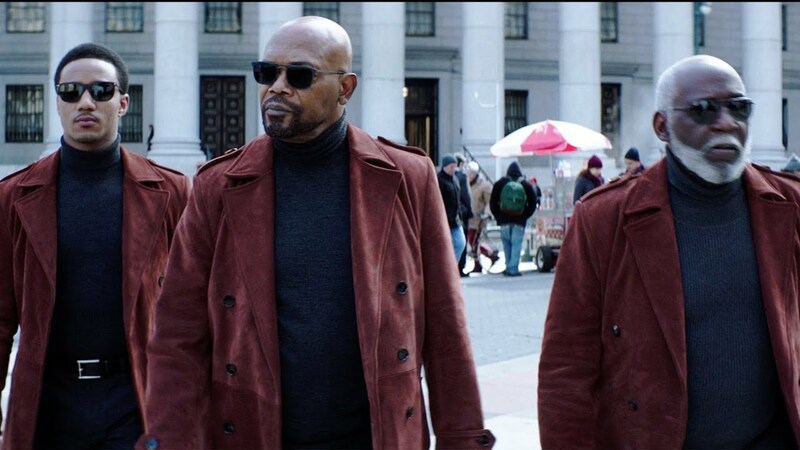 Directed by Tim Story, the film finds three generations of Shaft coming together to solve an untimely death. Jessie T. Usher plays JJ aka John Shaft Jr., a cybersecurity expert and MIT grad who must get some old school help from his estranged father (Jackson) and great-uncle (Roundtree). This movie's got too much cool not to be a lot of fun, although I find this trailer to be a little tame. 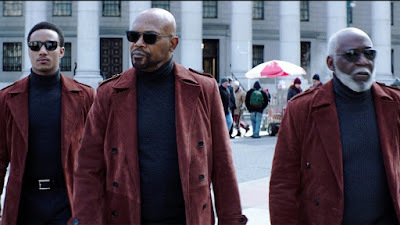 The Shaft character is an important one in the history of black cinema and keeping it fresh for new audiences is a must, in my opinion, so I hope this film holds up. Here's the synopsis: “Shaft” is the next chapter in the film franchise featuring the coolest private eye on any New York City block. JJ, aka John Shaft Jr. (Usher), may be a cyber security expert with a degree from MIT, but to uncover the truth behind his best friend’s untimely death, he needs an education only his dad can provide. Absent throughout JJ’s youth, the legendary locked-and-loaded John Shaft (Jackson) agrees to help his progeny navigate Harlem’s heroin-infested underbelly. And while JJ’s own FBI analyst’s badge may clash with his dad’s trademark leather coat, there’s no denying family. Besides, Shaft’s got an agenda of his own, and a score to settle that’s professional and personal. Also starring Regina Hall, Method Man, and Alexandra Shipp, Shaft opens June 14th.